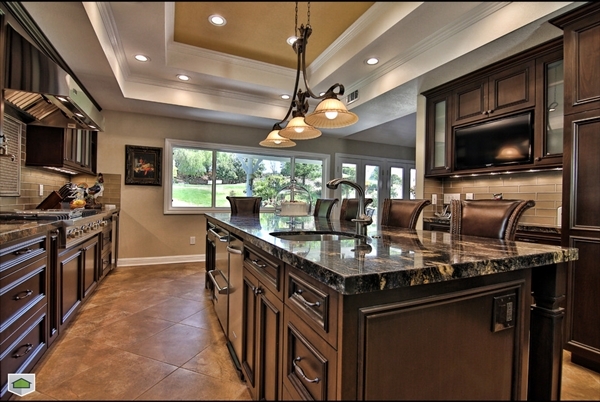 Do you love to spend time in kitchen and prepare yummy dishes for your loved ones? Yeah…! 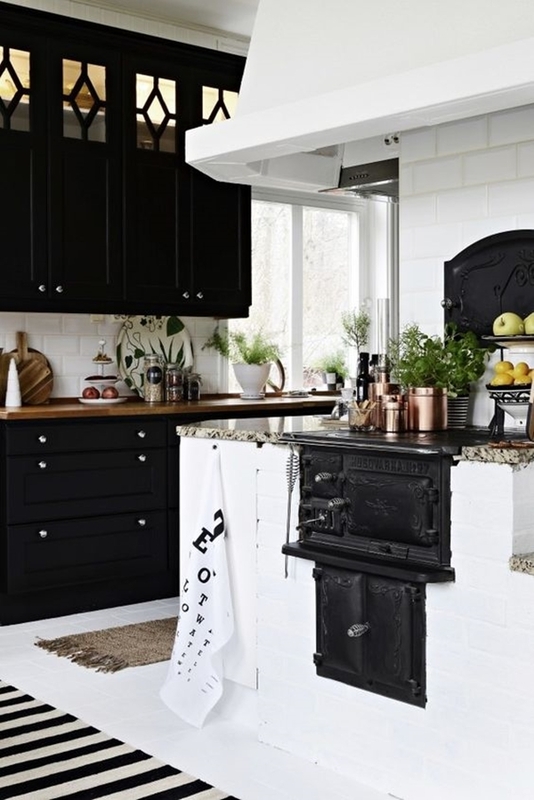 We all strive hard to improve our efficiency, save time and money while preparing food in the kitchen as they are valuable isn’t it! 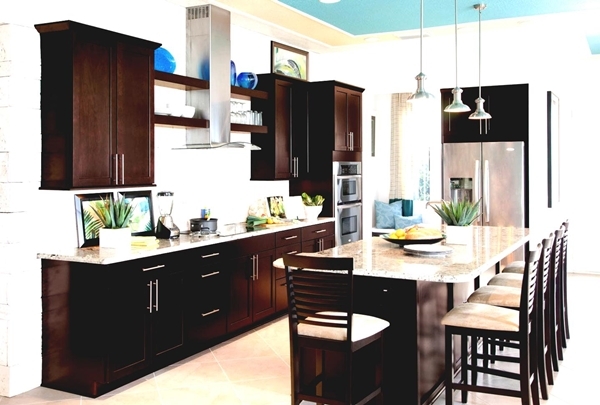 Undoubtedly kitchens have become heart of today’s well-designed, fully-furnished and highly equipped homes. 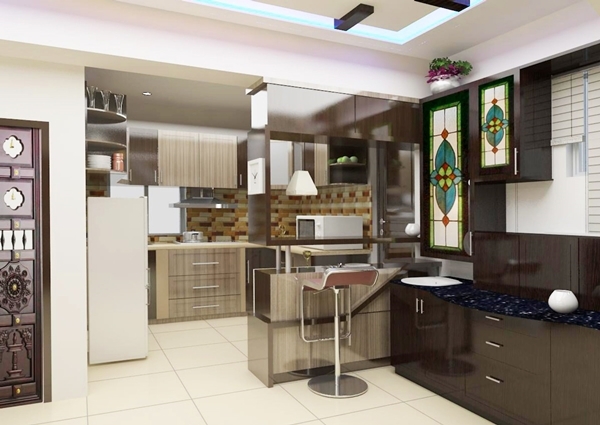 The kitchens are not being built just for cooking; rather they are becoming a multi-purpose room which allows restaurant-worthy meals to be made and also acting as a hub of all latest gossips, social gatherings and festivities. Home is after all, the place you will live forever. 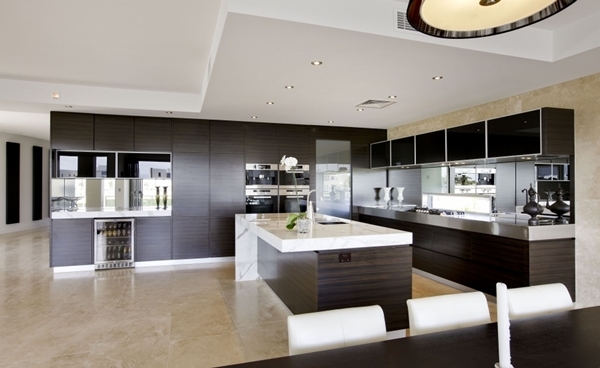 Most functional and productive modern kitchen ideas and designs have become a trend now and they change rapidly. It’s all about creative transformations. 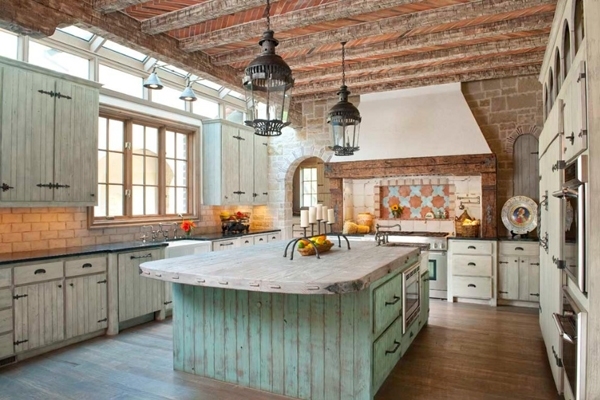 Don’t you think kitchens hold a magical power of pulling the party on? And slowly-slowly they are turning out to be a party room which fulfills more than one purpose. 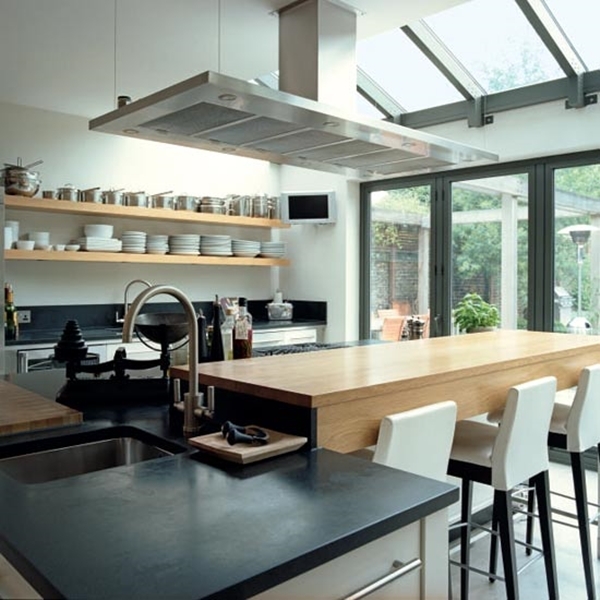 If you are looking for some modern and attractive kitchen design ideas take a look at the following examples and get inspired for your perfect cooking place! 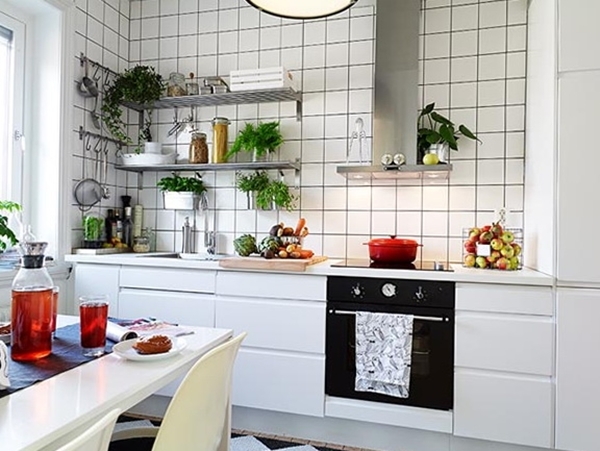 These examples have a good productive feel and would work great in modern homes, apartments or cottages. 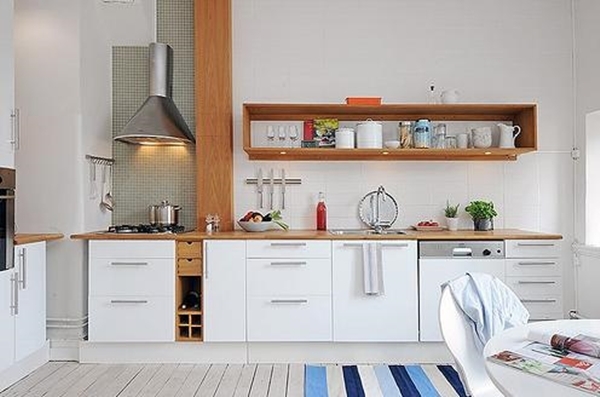 Many of the kitchen designs feature cutting boards on drawers for extra counter space, innovative storage techniques and affordable alternatives to wallpapers that help in your daily life! 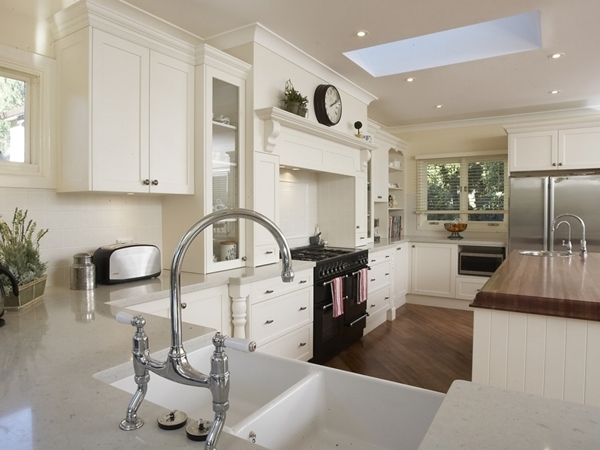 When talking about most functional and productive modern kitchen ideas, how can one forget about efficiency? 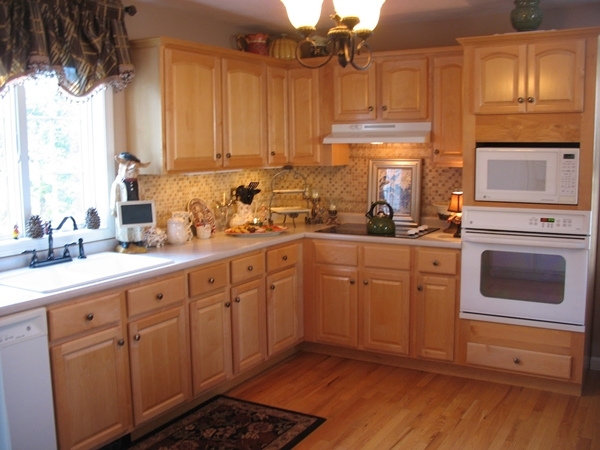 Your kitchen pantry shelves is the best place to put efficiency into practice as it holds all your essential kitchen items and should be a question of priority when it comes to kitchen upgrading. So, Ladies! 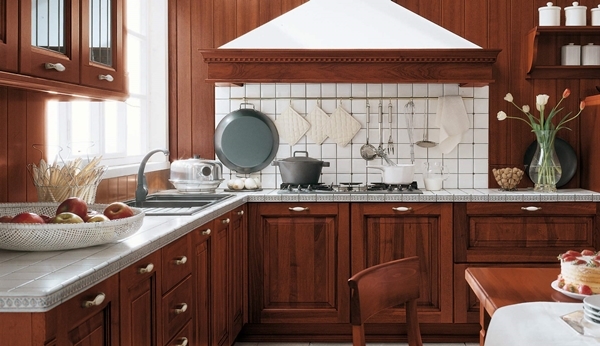 This year eliminate your kitchen stress by incorporating a set of pull-out pantry shelves. Isn’t this true! 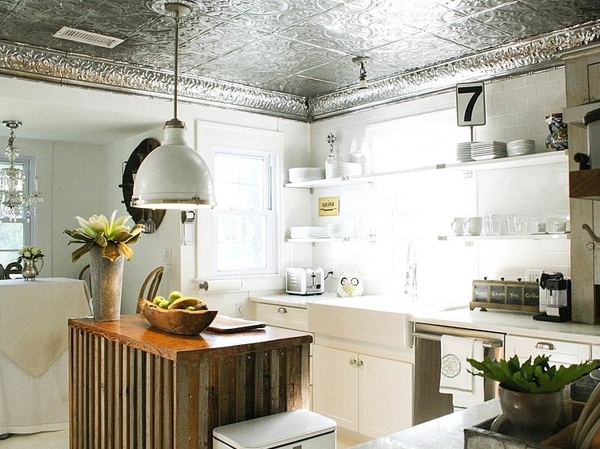 You usually find the best decor trends in kitchen only! 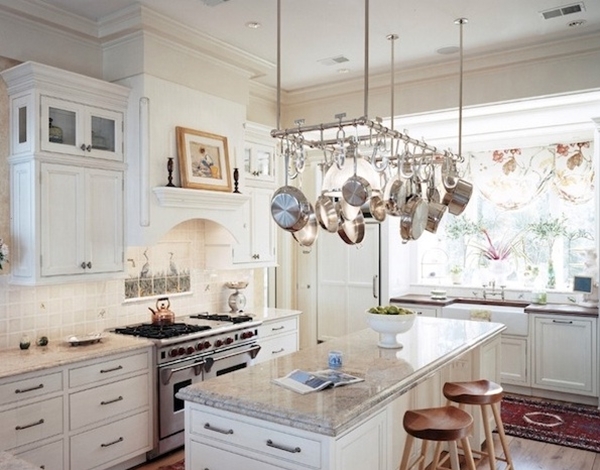 The gleam of brass outline everywhere can really turn your simple kitchen into a very elegant space. 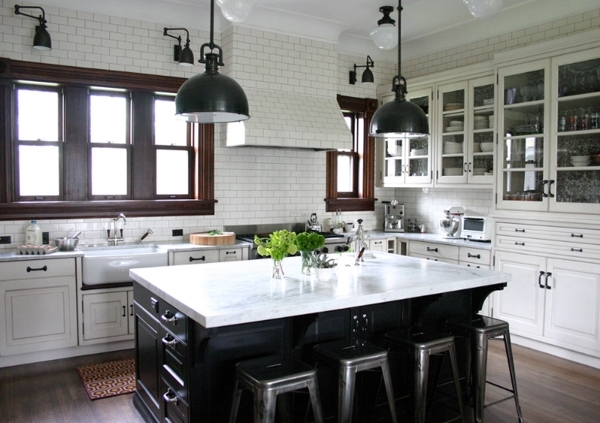 Why don’t you think for shiny brass pendants, brass handles, knobs and brass facets. 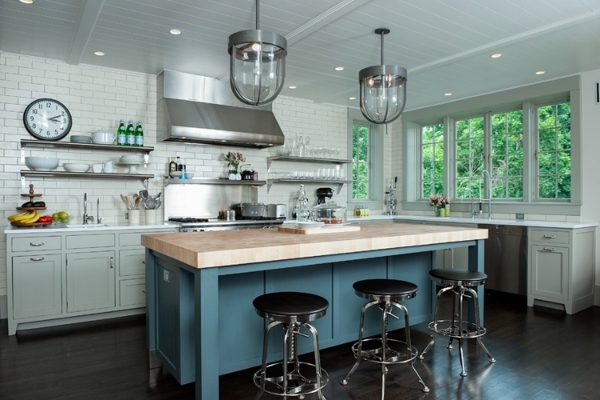 If you don’t prefer too much shine in kitchen, then try toned-down copper details. 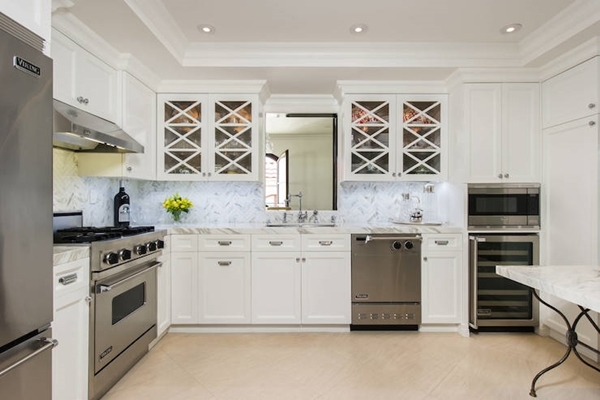 Stainless steel counter tops and back-splashes are on huge demand and rank on top among most functional and productive modern kitchen ideas as it is becoming easier to incorporate stainless steel into a complete house. 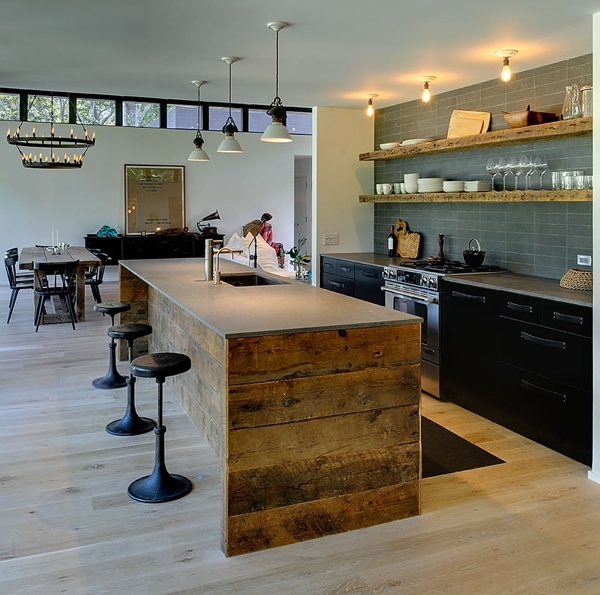 As a result, more and more faucet manufacturers are offering up stainless materials…yes! 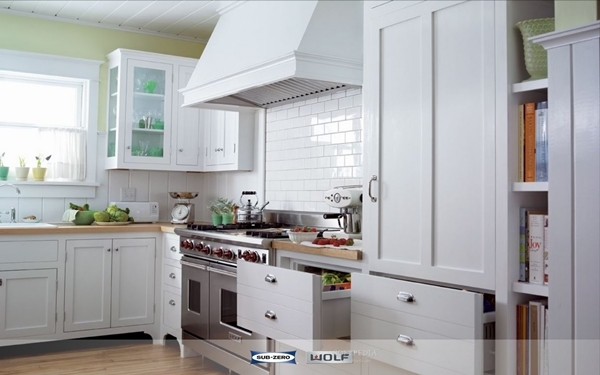 But be aware, stainless steel does scratch. 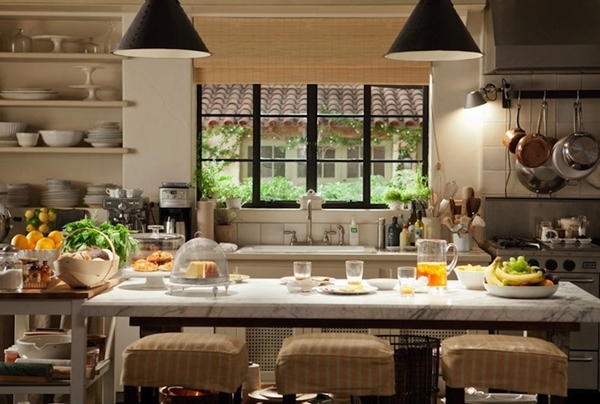 Everyone gathers in kitchen, isn’t it! So, you need to plan accordingly. Use magnets, rods and hooks to create Organizational Central. Ladies! 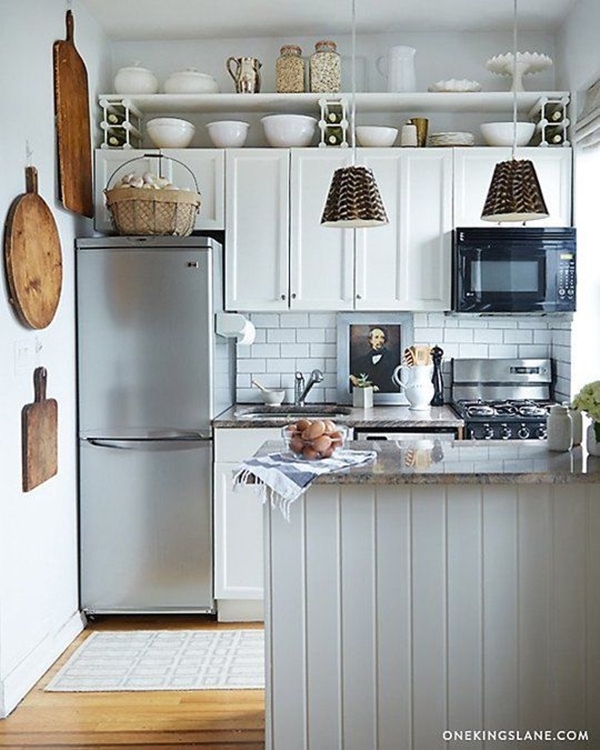 Kitchen items stored neatly within a contained amount of space is a good way to brighten up the kitchen that may otherwise go unused…..many of you must notice that! 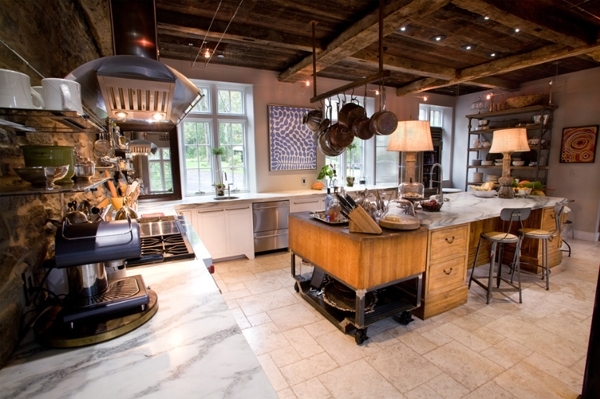 The idea works best for kitchen of any size and the customized layout options are endless! 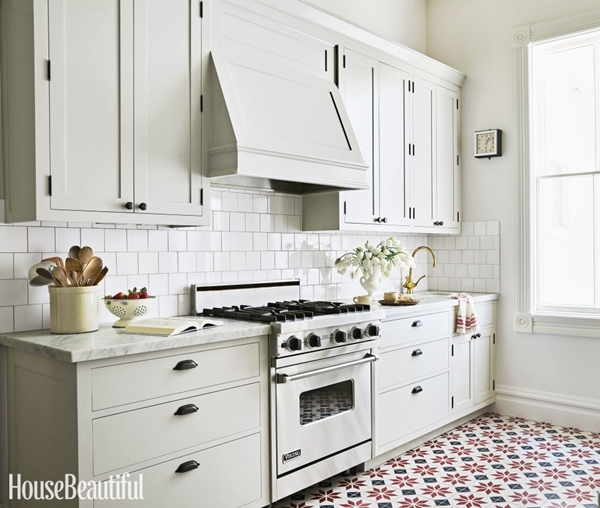 When traditional style kitchens space is limited or you don’t require gourmet appliances, why don’t you consider a totally flat glass ceramic cook top as most functional and productive modern kitchen ideas? 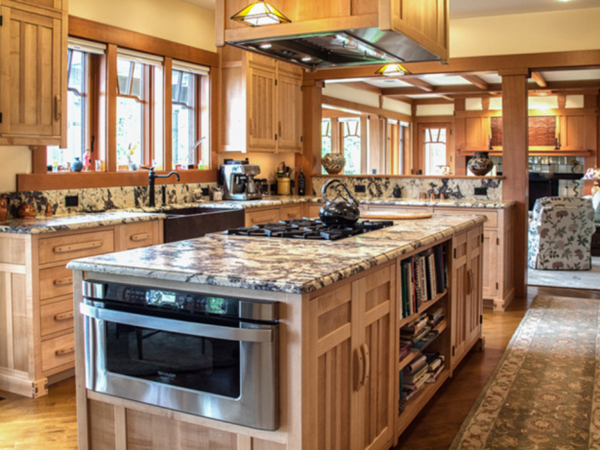 You will find its sleek profile fits well in a traditional and contemporary kitchen, so it works amazingly….no matter what’s your style! Got it! 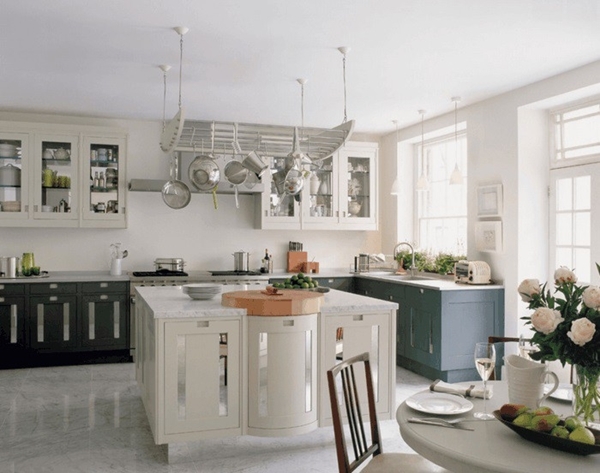 Removal of Decorative Pendant Lighting! 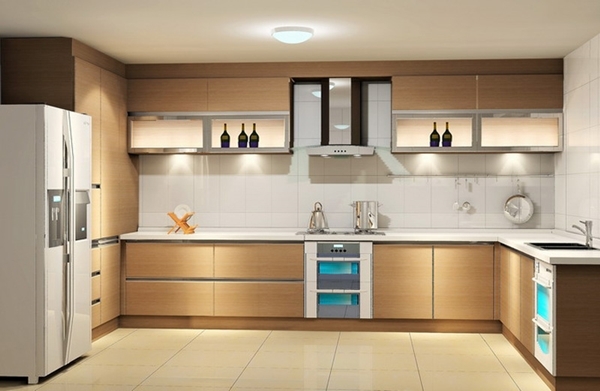 With the advancement in multi-purpose rooms and kitchens, no longer your eyes are stuck at the kitchen islands only. 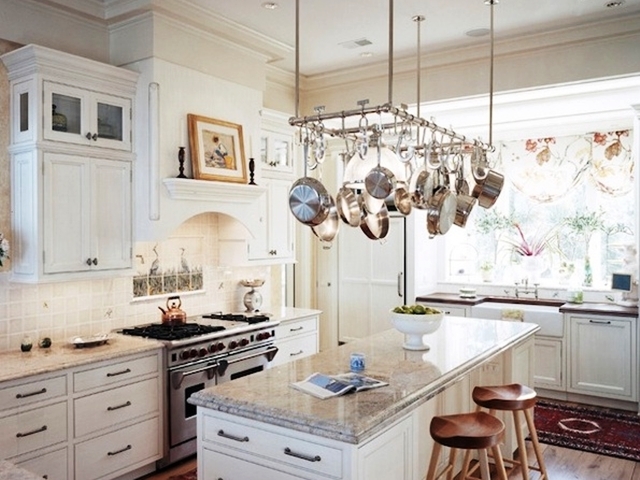 Pendant lighting suspending down over the kitchen island is slowly declining and becoming worst! 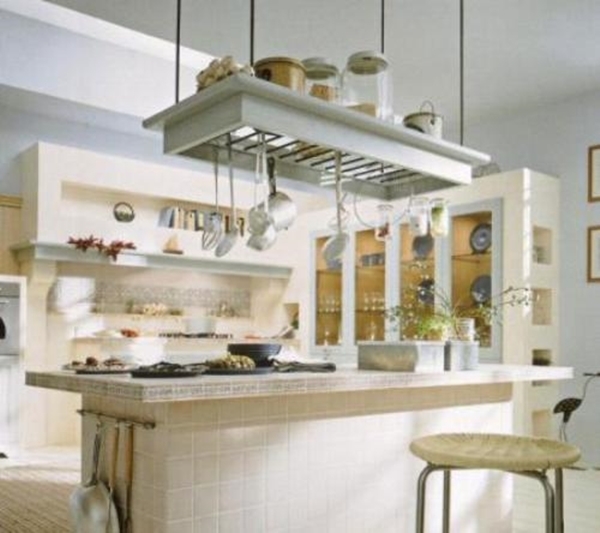 Have you ever heard about such rule that says kitchen drawers have to be built horizontally? 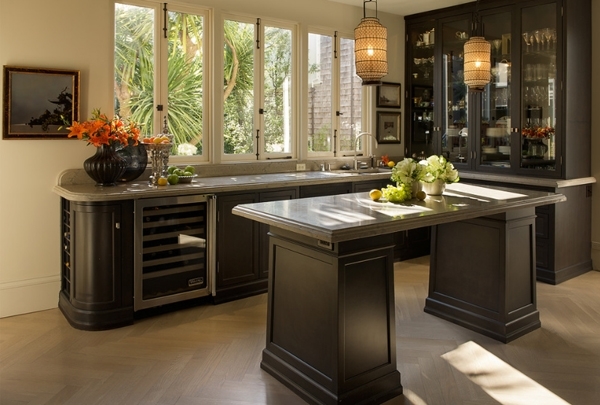 In 2016, designers are presenting ideas related to the placing of tall drawers in the most unusual places and you would love to incorporate into your kitchen. The idea would work great for even small stores. 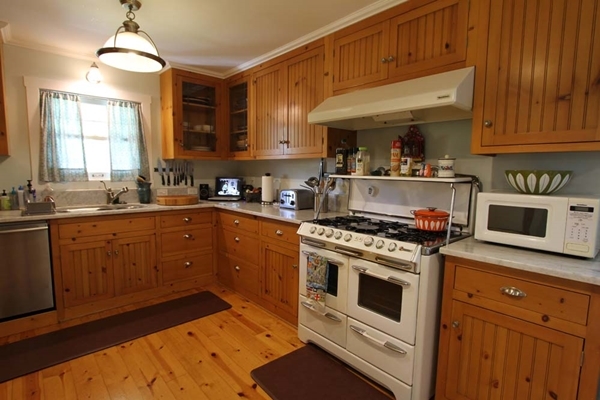 Want to give an instant upgrade to your kitchen? 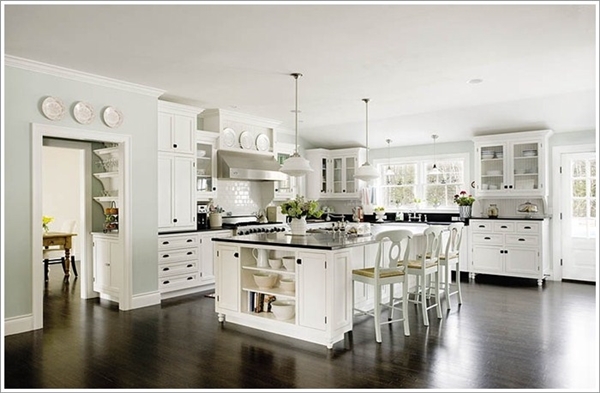 Sometimes, you may need to add contrasting colors to get that aesthetic feel you’re aiming for! 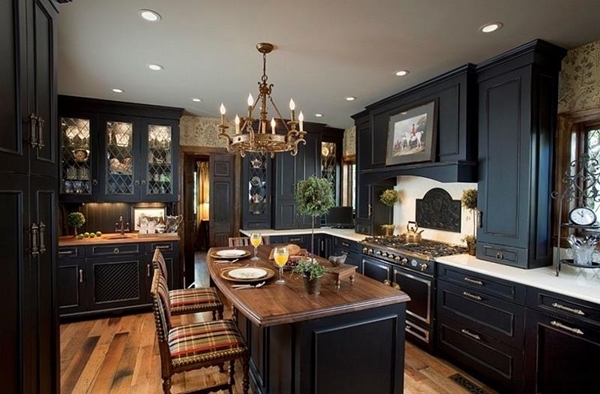 This year, why don’t you try painting your cabinets with any bold shade to grab the attention of others and to emerge as a focal point? 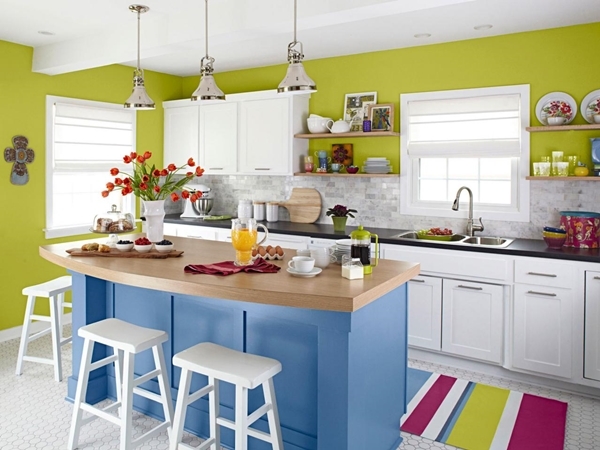 Make sure to pull out well one of this most functional and productive modern kitchen ideas by balancing bold colors with lighter neutral tones! 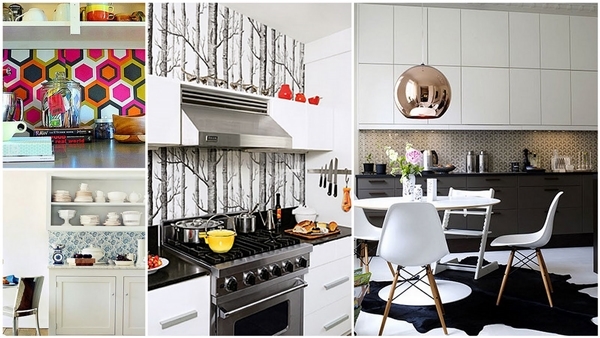 Well, don’t you think covering your entire kitchen wall with tiles is a fabulous idea? 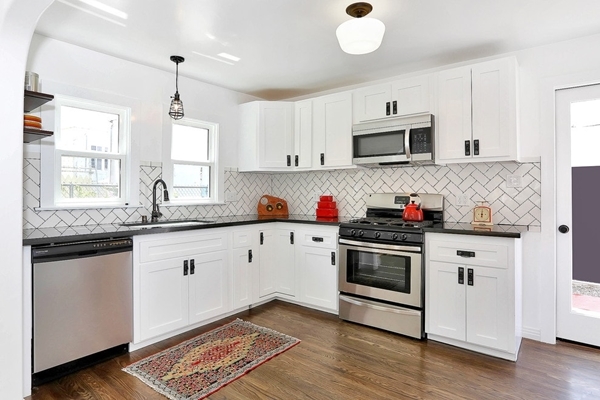 Considering tile as the interior of your kitchen seems to be beneficial on several levels! Want to know – how? Let’s understand – Not only does it provide a water-resistant surface, but allows for easy-cleaning surface that’s pleasing to eyes. 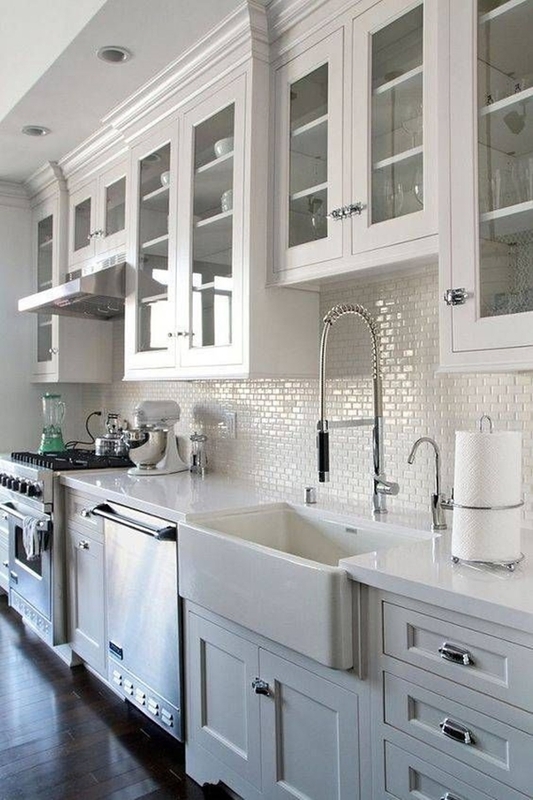 Moreover, adding colorful tiles in your sink gives your kitchen a fun edge. So, Friends! 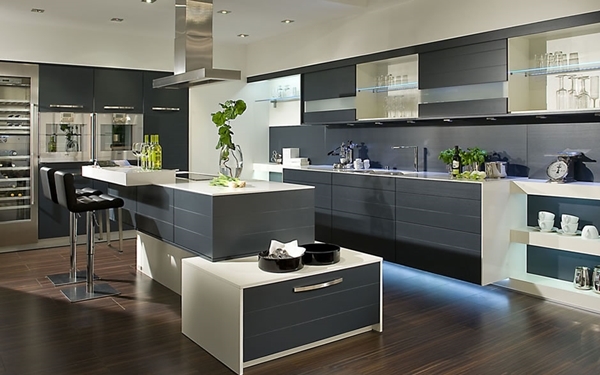 Come on get up, it’s time to give your kitchen the modern boost it deserves for many more years to come. 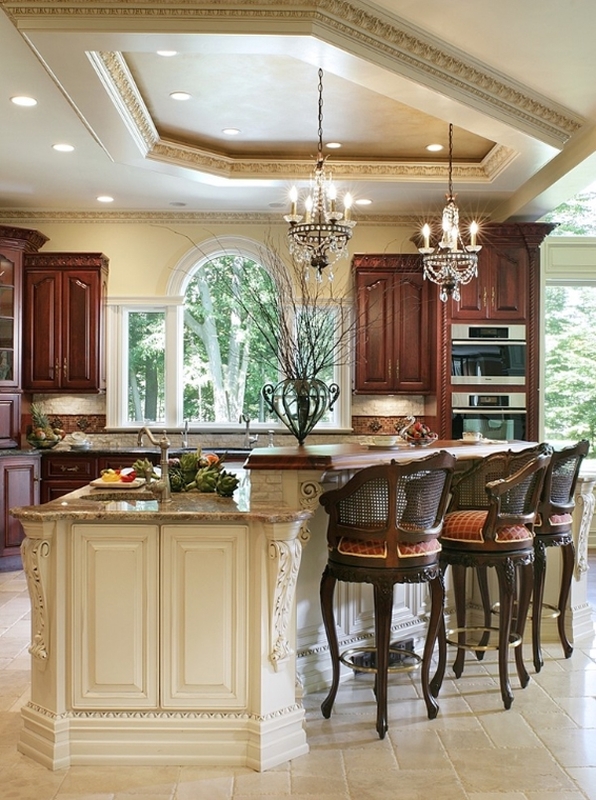 To make your kitchen a place like – heaven for your family and friends, make sure it functions as the central heartbeat of your sweet home. 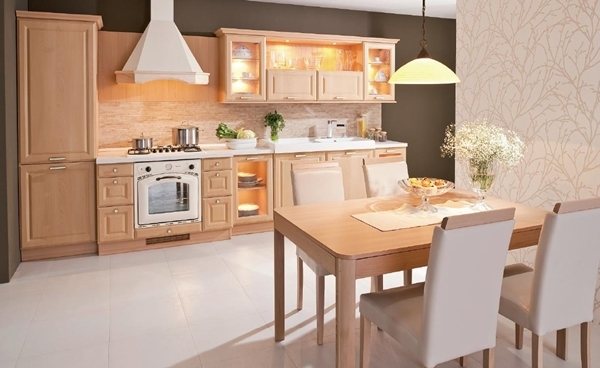 We assure you these most functional and productive modern kitchen ideas will take your kitchen from standard to sublime. You need to remember, with a focus on efficiency, personal style and functionality you can’t go wrong at all! !